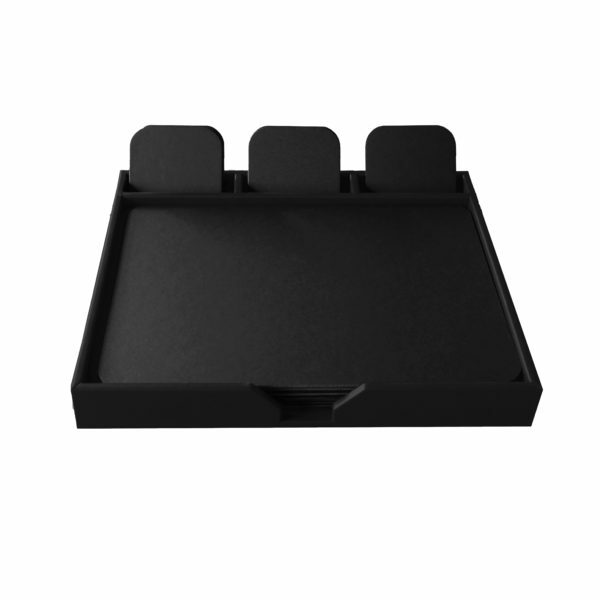 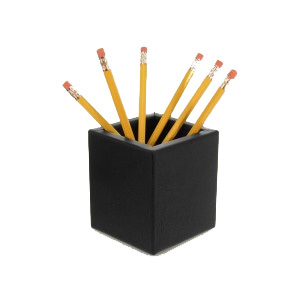 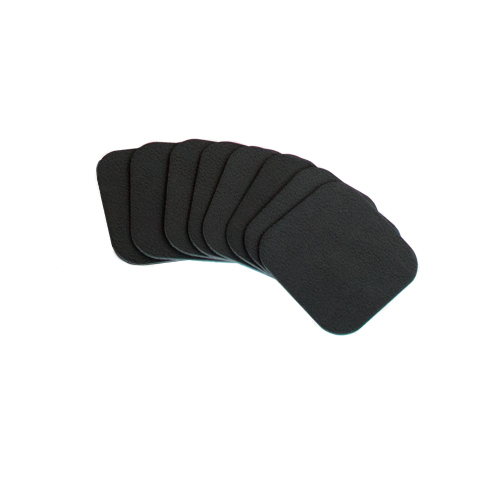 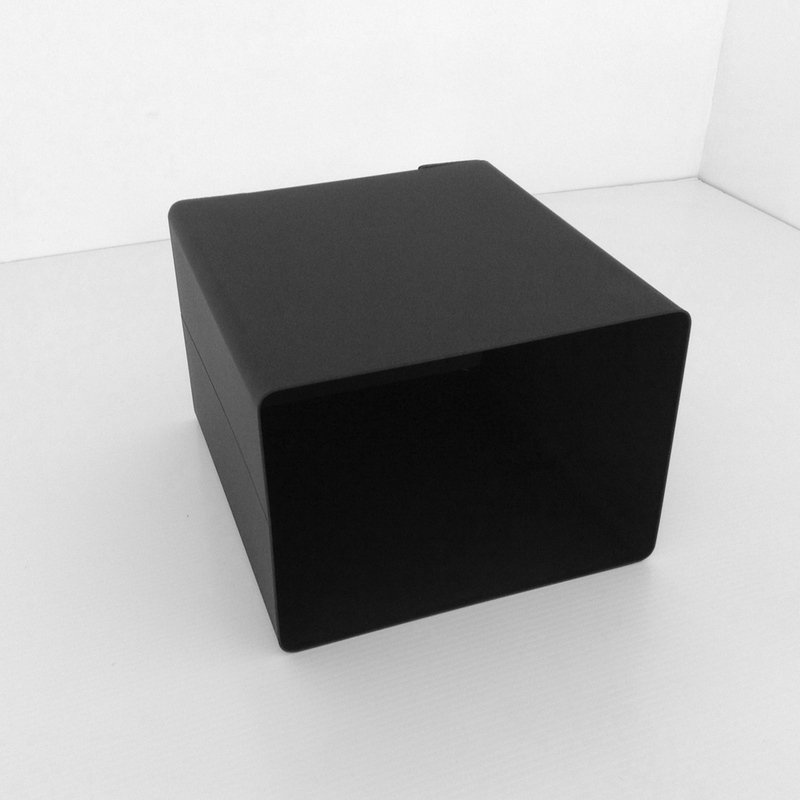 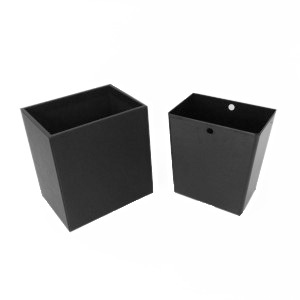 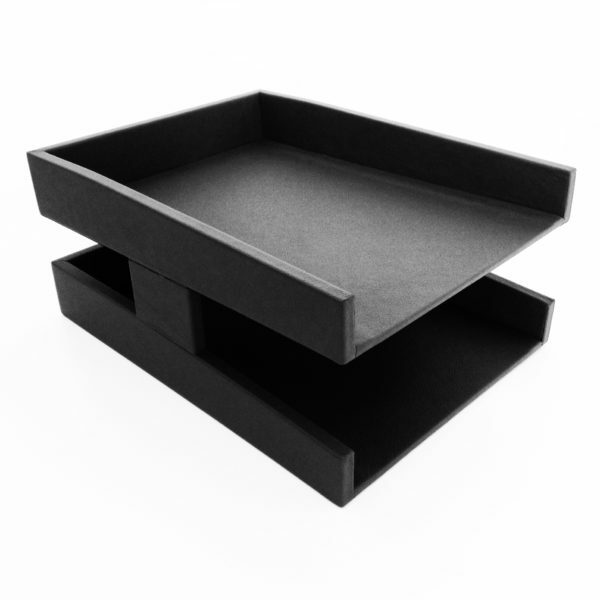 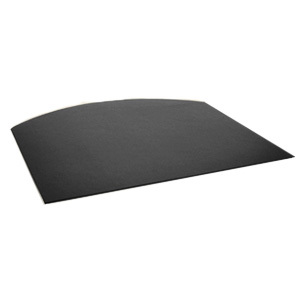 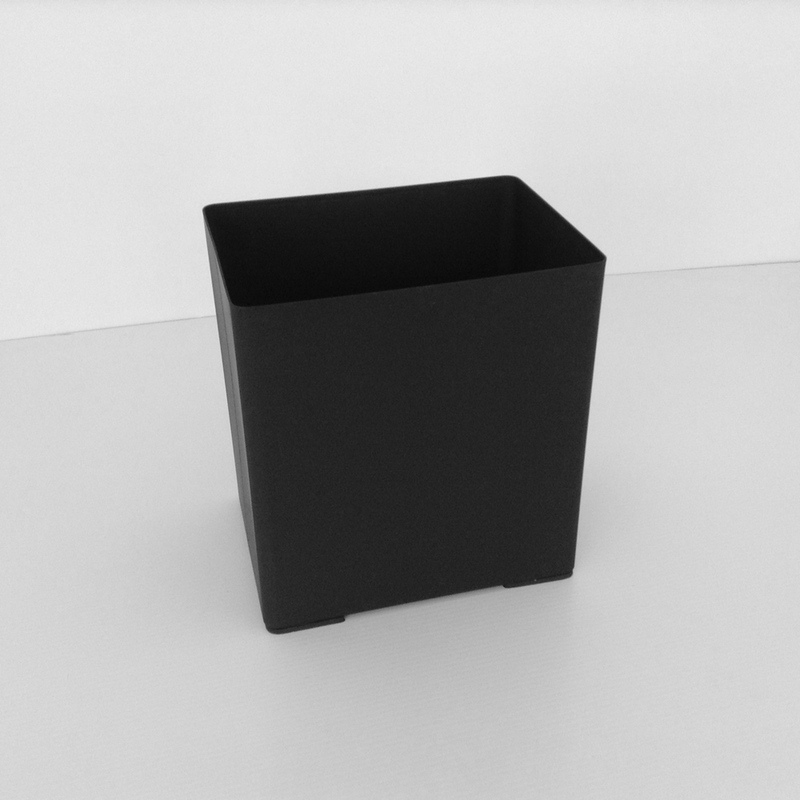 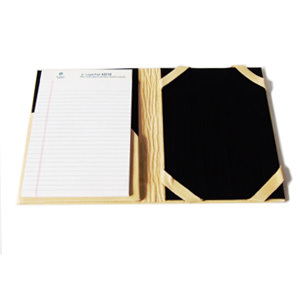 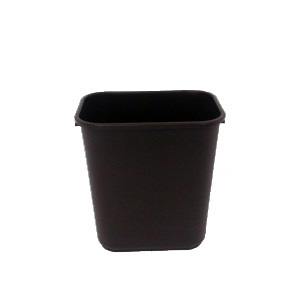 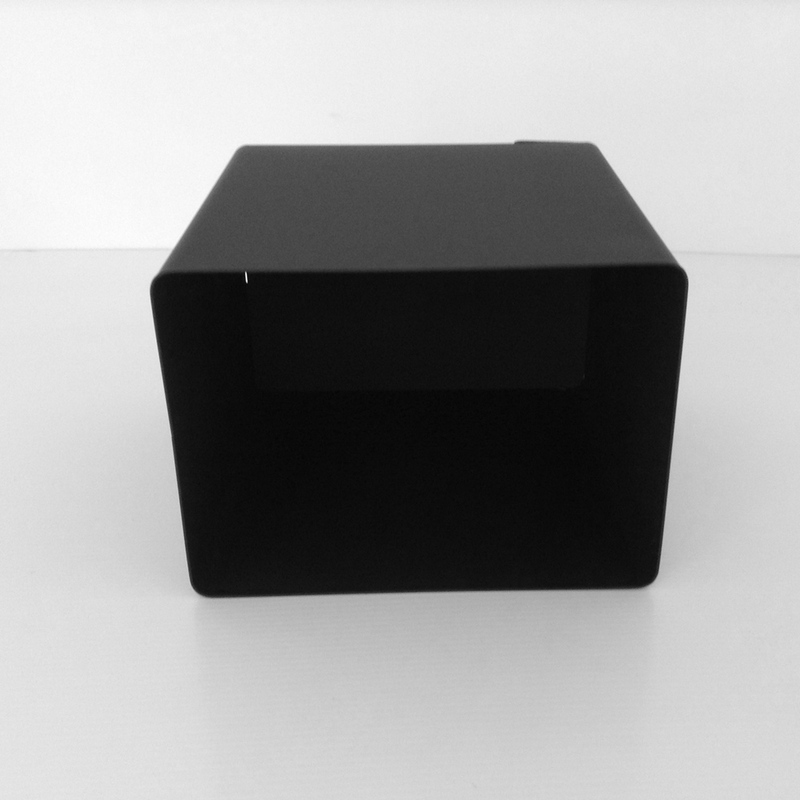 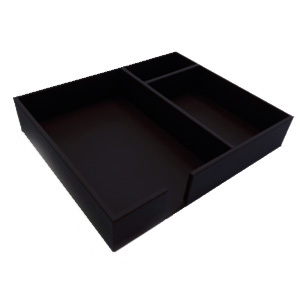 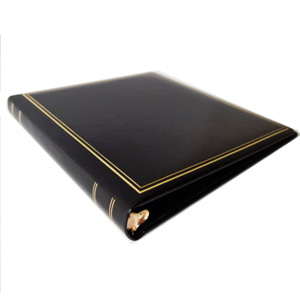 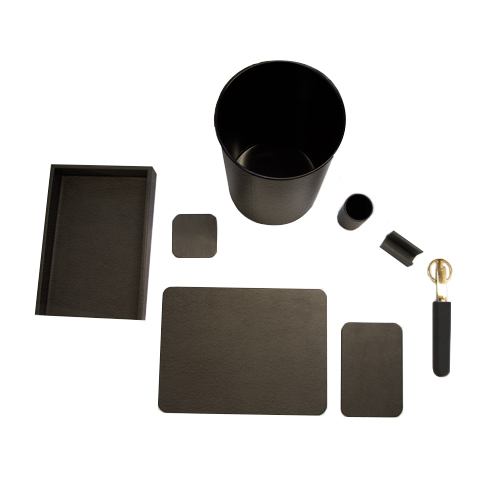 A matte black metal wastebasket for offices. 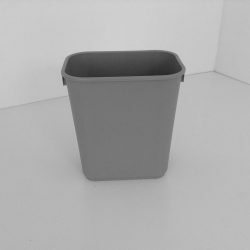 This modern wastebasket has four non-slip foam feet and a matte finish and will add a decorative and functional touch to any workspace. 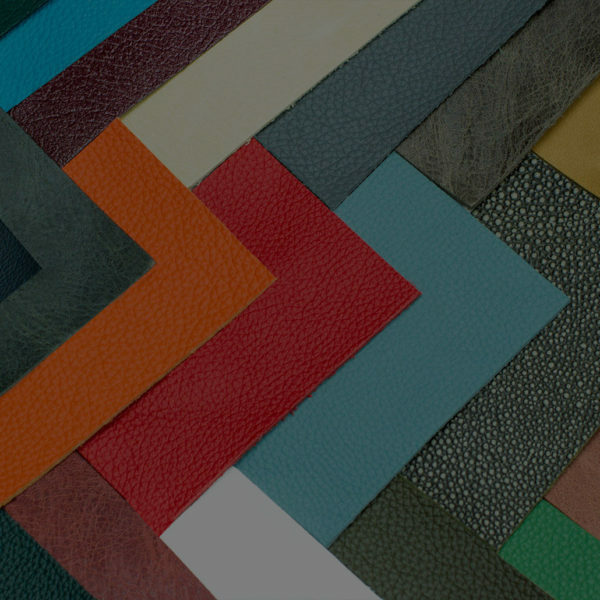 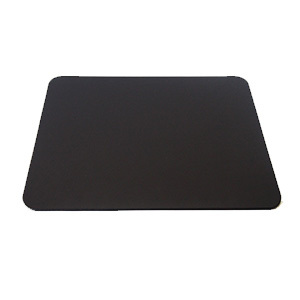 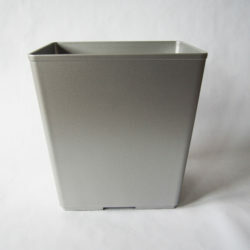 The painted steel is folded and welded to add strength and resistance to staining and damage. 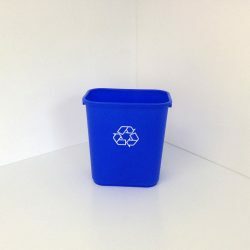 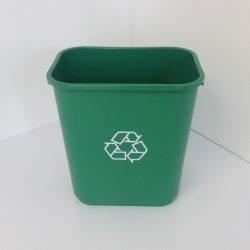 This wastebasket is manufactured and sold from out facilities in Buffalo, NY. 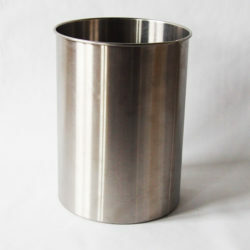 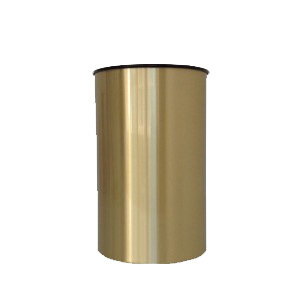 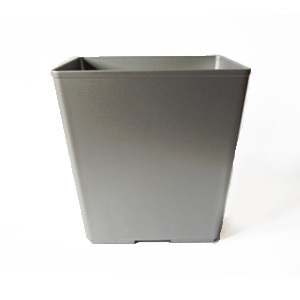 The dimensions of this decorative metal wastebasket are 12″x8.75″x12.75″. 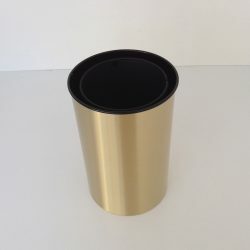 This wastebasket weighs 6.43 lbs, ensuring that it wont spill easily.